I recently finished my Majestic Mountains Quilt for a Quilts of Valor celebrity auction. I was invited to participate by Marianne Fons, who is on the board for Quilts of Valor and generally someone that you don’t say no to. When she asked, and I said yes, there was months to design and finish a mini quilt – no problem! The focus was to be on America the Beautiful and living here in the mountains, I’m always in awe of their vast presence in my life, so I knew exactly what I wanted to focus on, but took my time finding the right way to go about it. Finally, the week before the deadline, I realized paper piecing was the way to go, and put together this pattern for an 18″x24″ mini. Using gradients of grey and greens, with a pretty pond I was able to create depth, and height – especially when I added the quilting. In the sky area I had the computer add matchstick quilting every 1/8″ of an inch, and in the mountain I added random nearly vertical lines. I had purchased green thread to quilt the foothills, but found that I really liked the dimension of it unquilted as I got to that point. I used a variegated thread in the mountain space, that echoes the light to dark of the mountains, which adds the imperfections and color shifts usually found in the mountainside. 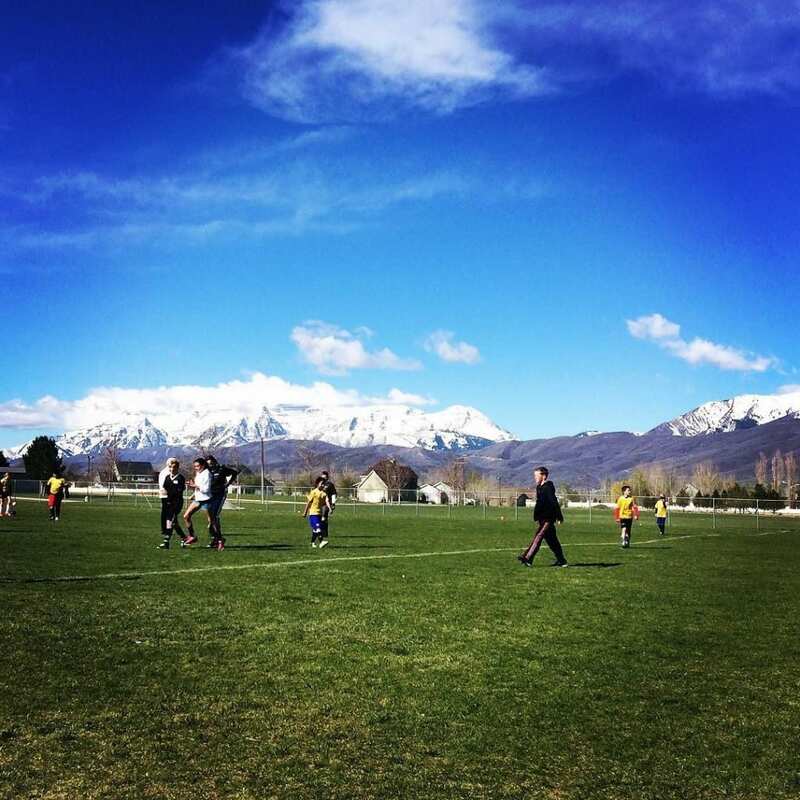 A quick glimpse of our mountains – they are part of my everyday, and I love the view! 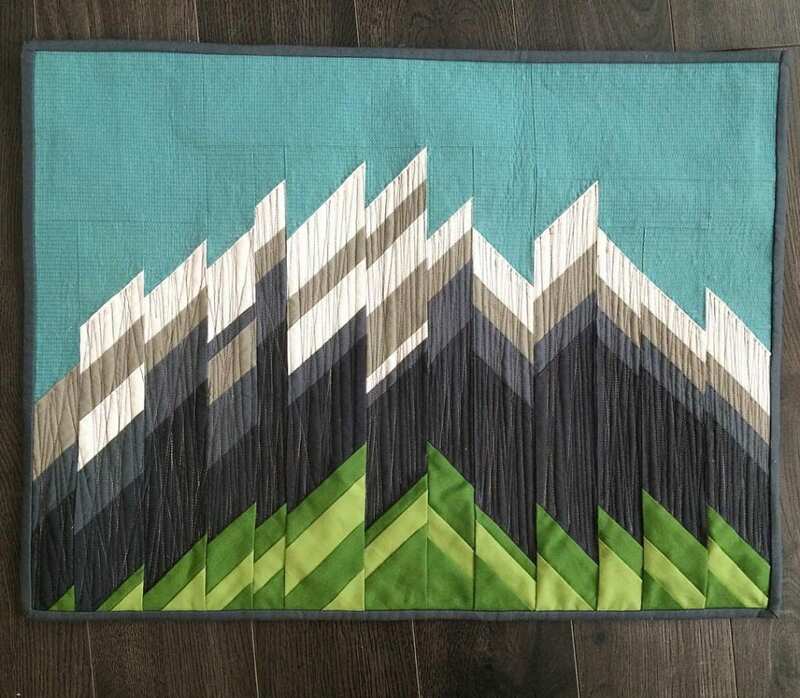 I’ll be making this one again, my kids were all sad to see my Majestic Mountains quilt shipped off for the auction. I may also make the pattern available if there’s enough interest. ETA – This mini quilt now has a pattern! Make your own version in one of two sizes, in the colors and prints you love. While these aren’t quite ‘my’ mountains, they did have a terrific familiar feel. I feel like the simplicity of the fabric choices really let their sillouette shine. Beautifully done. Wow, it’s just stunning. It made me miss seeing the Olympic and Cascade mountains everyday. You really captured the strength and presence of the mountains! 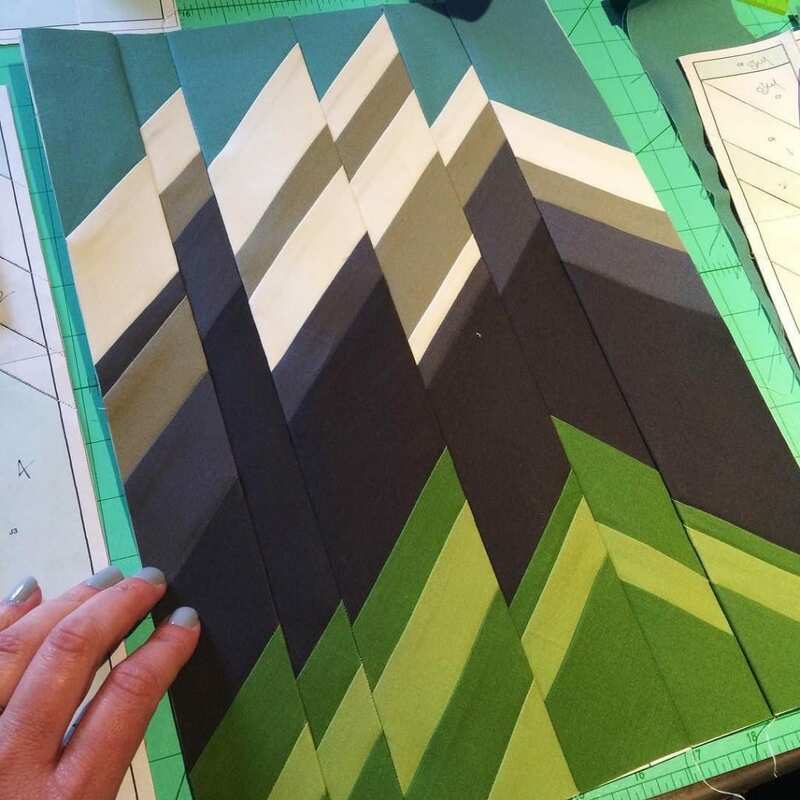 I also live where we can see the cascade and Olympic mountains on clear days and I would be very interested in a pattern if you ever offer one. I already know just where I would hang it. In fact I would want to make several as gifts! Your care in designing the pattern really comes through. What a beautiful rendition of your mountains. I love the technique you used and the colors were a perfect choice. I hope it brings lots of $$ for QoV. I am very involved with them too, by piecing tops and quilting for them 16 hours a month. Lovely pattern! I love mountains and yours are a perfect example of majestic presence. Well done! Amy, your lovely contribution will live at the Piece Works Quilt Shop in Winterset, Iowa, just 3 doors down from the new Iowa Quilt Museum. Now South Iowa has mountains! Thank You, come visit any time. Joyce Franklin and Tony Jacobson. Beautiful! I would love to have this pattern! I’d love the pattern as well. 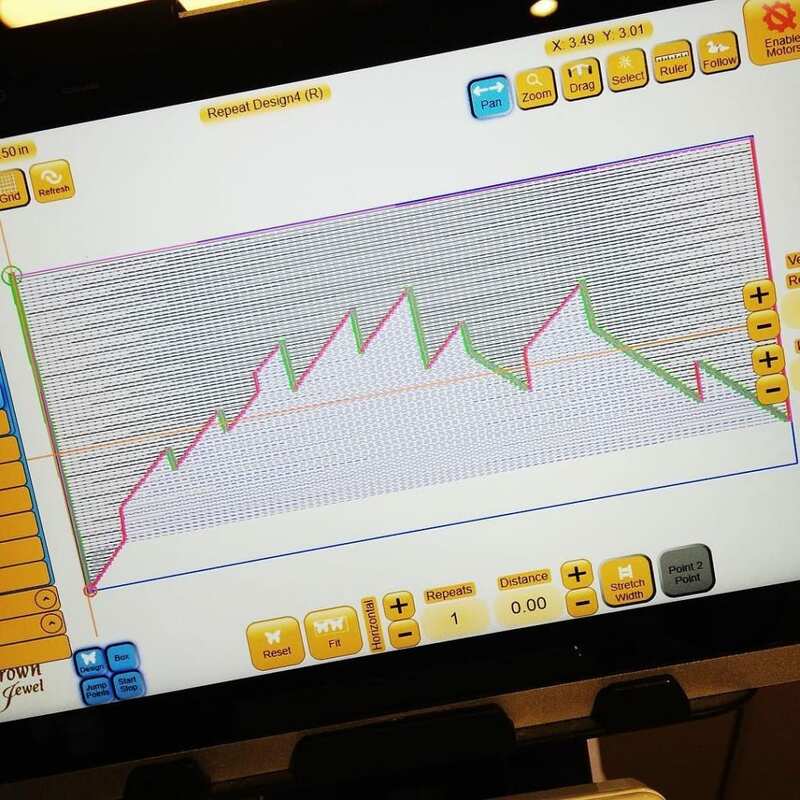 I have a question – i’m new to quilting – would this pattern be really hard for a beginner?! I purchased the Majestic Mountains pattern but the download didn’t come through. Will you check on it for me? I am trying to purchase the majestic mountains pattern and I click on the picture but theres no where to purchase. I found it and just purchased the pattern! Thank you!